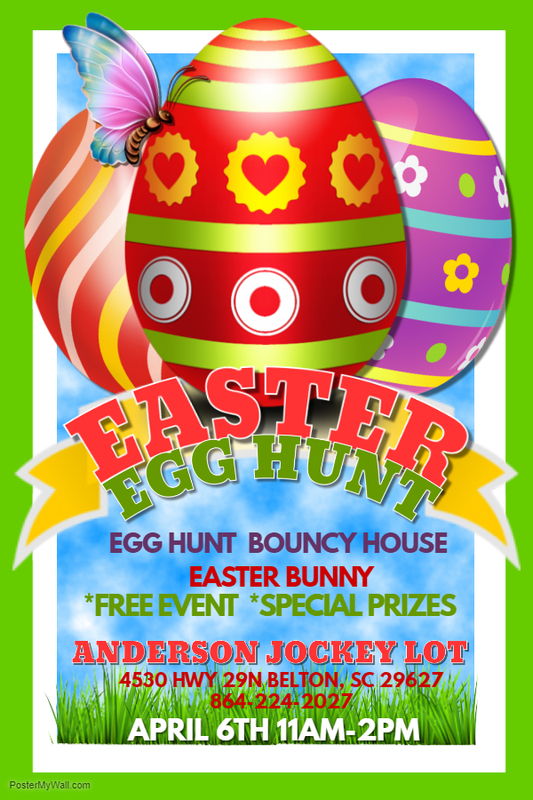 JOIN US FOR OUR FREE ANNUAL EASTER EGG HUNT (AGES 12 & UNDER). COME VISIT WITH THE EAST BUNNY AND TAKE PICTURES! AGE DIVISIONS FOR EASTER EGG HUNTS. FIND EGGS FOR A CHANCE TO FIND CANDY OR PRIZES! WILL YOU BE LUCKY ENOUGH TO FIND A GOLDEN EGG? ENJOY THE BOUNCY HOUSES AND DONATE BLOOD AT THE BLOOD DRIVE. 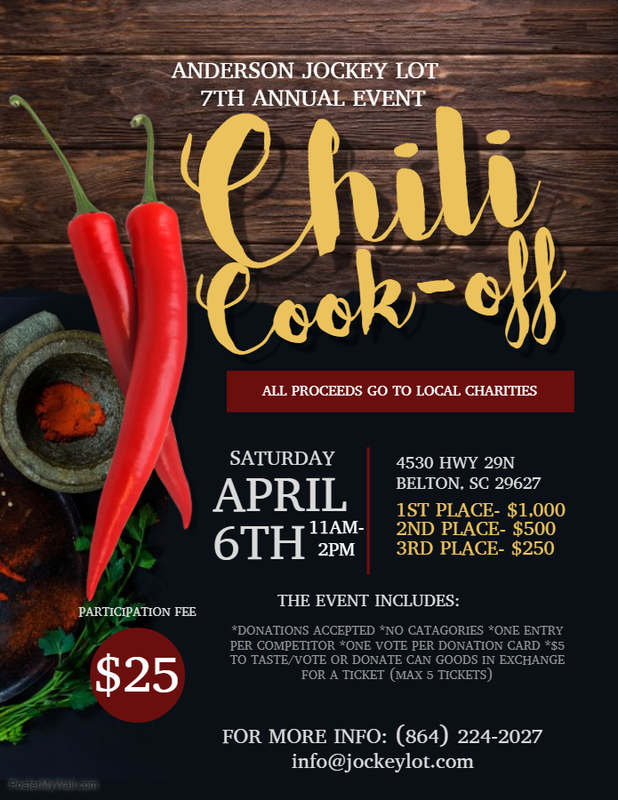 JOIN US FOR OUR 7TH ANNUAL CHILI COOK OFF! PUT YOUR HEAT TO THE TEST OR COME OUT TO VOTE FOR THE BEST! 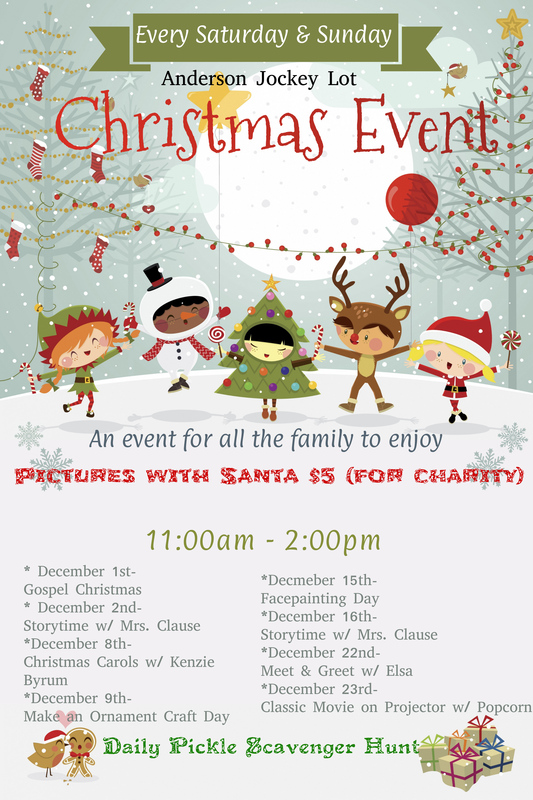 Join us for our Annual Christmas Event every Saturday and Sunday through December! Santa is here daily from 11am-2pm!